Police in Germany and Portugal have raided properties linked to a gang suspected of arranging fake marriages in order to make it easier for Nigerians to come to Europe. Berlin police say they searched 41 homes and offices in the German capital early Tuesday, arresting five people. Officers also seized passports, European Union residency permits, cell phones and storage devices. According to Fox News, the simultaneous operations took place in Portugal. 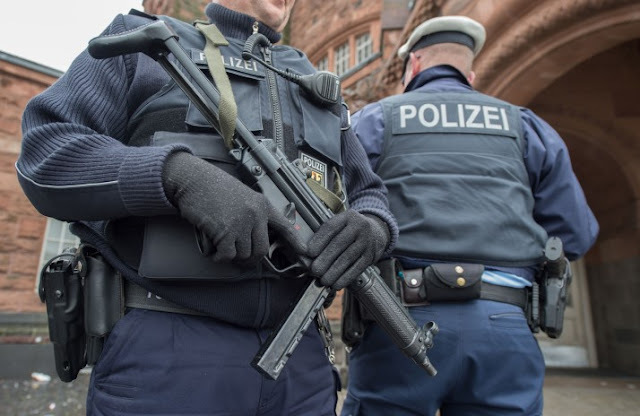 German federal police spokesman Jens Schobranski said the suspects detained are a 50-year-old Nigerian man, two Nigerian women aged 46 and 50, and two German women aged 55 and 64.